Just One Month until “The Vic & Paul Show” @ The Beverly Arts Center… | Paul's Voyage of Discovery & Etc. ← “Vic & Paul” Go Hollywood! 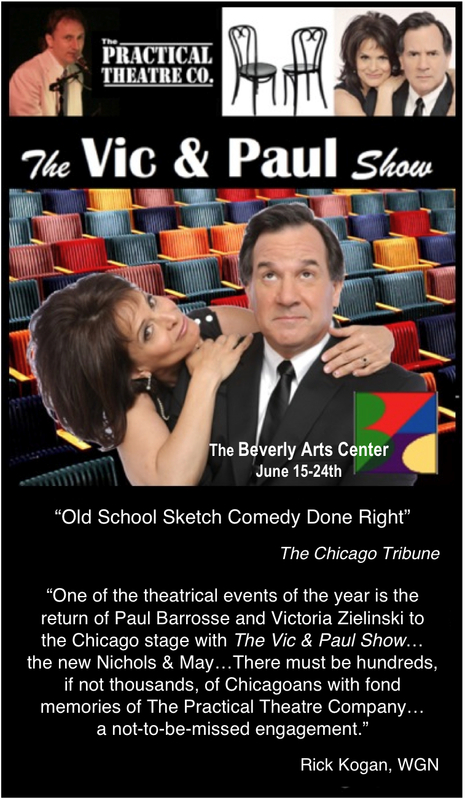 There’s only one month left to get your tickets for The Vic & Paul Show at The Beverly Arts Center on Chicago’s South Side at 2407 W. 111th Street from June 15-24th. For more info about the show and the Beverly neighborhood — Victoria’s childhood home — click here. See you at The Beverly Arts Center in June!